Looking for unique lighting? 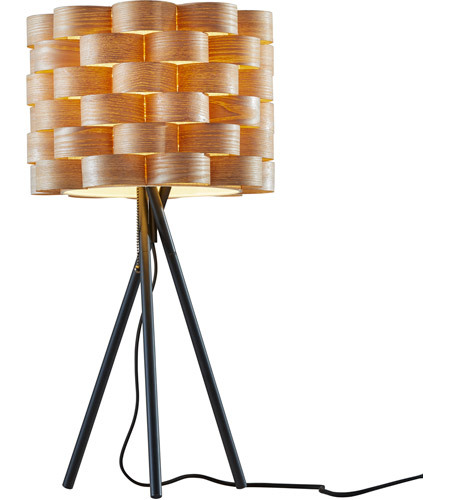 The Savannah Table Lamp is the perfect selection. Pieces of natural finished PVC wood veneer are carefully woven through an oatmeal linen fabric shade to create an artistic interpretation of modern lighting. When lit, a beautiful wood grain reveals itself. Place one on each nightstand for ambient, warm bedside lighting. A matte black tripod matches back to the sleek, black fabric covered cord.